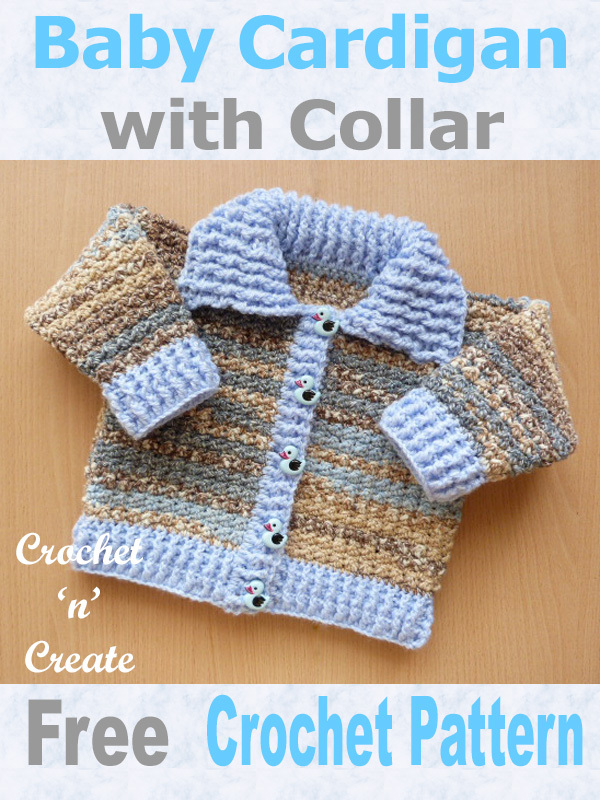 Free Baby Crochet Pattern Ribbed Cardigan-Collar – Super cute baby cardigan with ribbed collar and cuffs. 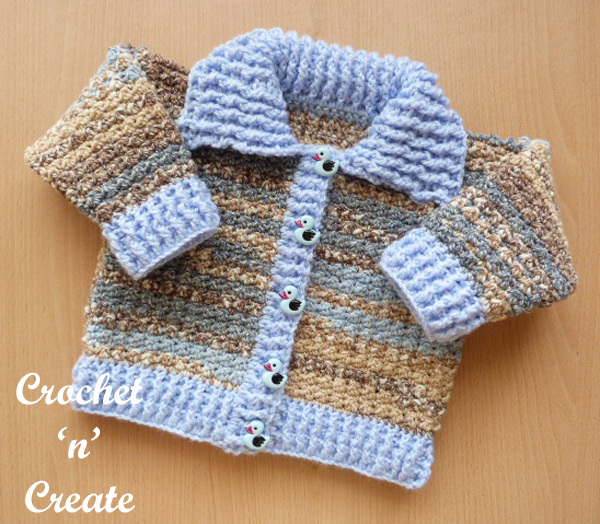 An easy 2 row stitch pattern that is ideal for beginner crocheters as well as experienced. 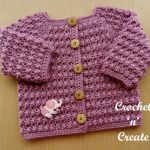 This entry was posted in Baby crochet pattern, crochet baby cardigan and tagged baby crochet, baby crochet cardigan, baby crochet sweater, crochet on 7th November 2018 by crochetncreate. 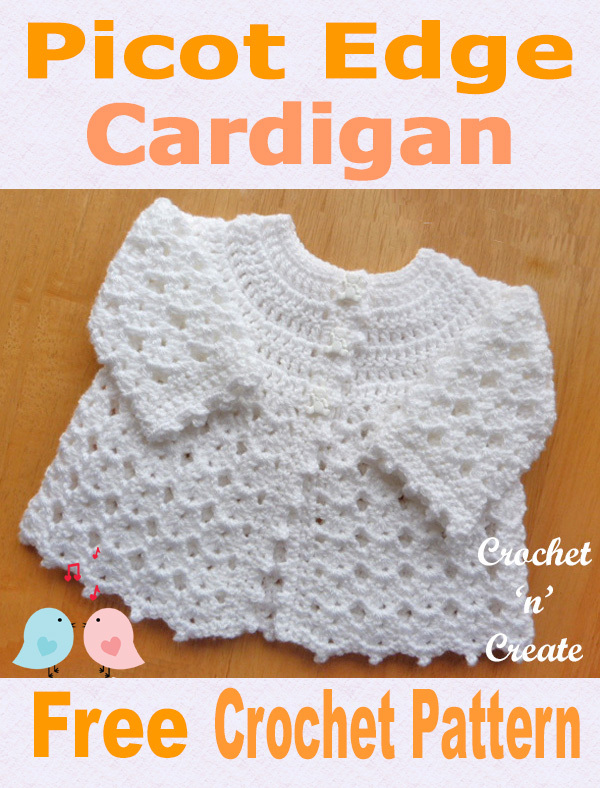 Free Baby Crochet Pattern-Picot Edge Cardigan – Sweet little sweater made in shell design with picot edging around coat and sleeves. 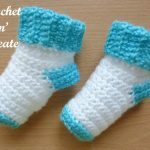 Use for your own little one’s or make for baby showers and gifts for friends and family. 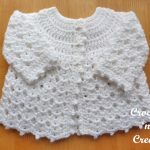 Free Baby Crochet Pattern-Picot Edge Cardigan UK – A pretty baby cardigan written in UK format, made in a shell design for a 14 inch chest Newborn baby, sweet little gift to bring baby home in. 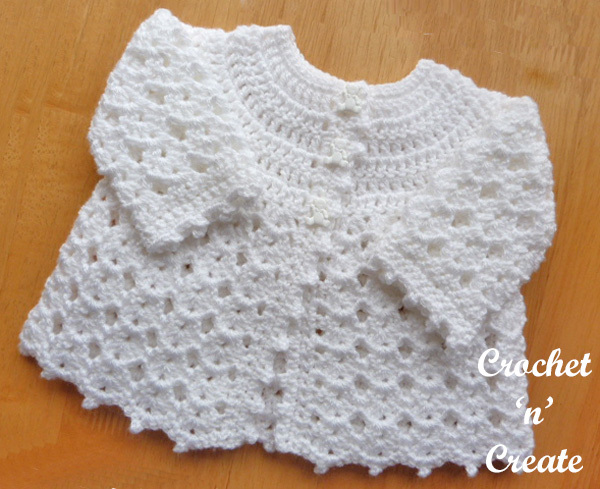 See more free baby crochet patterns on the links below. * 1dc into next 3dc, 3ch, ss into 3rd ch from hook, * rpt from * to * to end. Worked in one piece starting with yoke, with 4.00mm hook make 49ch, (RS) 1tr into 4th ch from hook, 1tr into each ch to end (46tr + 3ch). Turn. Row 2 – (Inc) 3ch, 1tr into next tr, * 2tr into next tr, 1tr into each of next 3tr, * rpt from * to * to end, 1tr into top of 3ch, (57tr + 3ch). Turn. Row 3 – 3ch, 1tr into each tr to end, 1tr into top of 3ch. Turn. Row 5 – 3ch, 1tr into each tr to end, 1tr into top of 3ch. Turn. Row 6 – (Inc) 3ch, 1tr into next tr, * 2tr into next tr, 1tr into each of next 2tr * rpt from * to * to last 2tr and 3ch, 2tr into next tr, 1tr into last tr, 1tr into top of 3ch (101tr + 3ch). Turn. Next Row – 1ch, 1dc into base of 1ch, * 1 shell into next shell, 1dc into the space between shells, * rpt from * to * to end, working last dc into top of 3ch. Turn. Pattern Row 1 – 3ch, 1 shell into each shell to end, 1tr into dc. Turn. Pattern Row 2 – 1ch, 1dc into base of 1ch, * 1 shell into next shell, 1dc into the space between shells, * rpt from * to * to end, working last dc into top of 3ch. Turn. 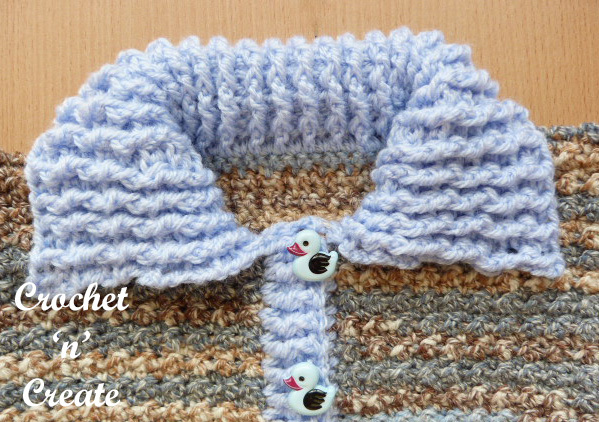 Pattern Rows 1 & 2 form the pattern, rpt both pattern rows 4 more times or until work measures approx 9” from shoulder. Turn. Next row – (A contrast color yarn here if you wish) 1ch, 1dc into base of 1ch, * 1dc into next 2tr, 1dc into 1ch space, 3ch, ss into 3rd ch from hook, 1dc into same 1ch space, 1dc into next 2tr, miss dc, * rpt from * to * to last dc, 1dc into last dc. Sleeves x 2 – With WS facing, rejoin yarn to same 1ch space of shell on skirt at base of armhole, 3ch, 1 shell into each shell across, ending with 1tr into 1ch space of shell on skirt on opposite side of armhole, ss to top of 3ch on beginning of row. Turn. 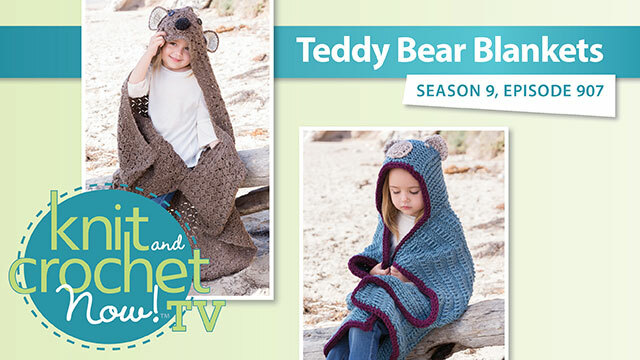 Rpt Pattern Row 2 once. Cuff – Missing all ch spaces, work 1ch, 1dc into base of 1ch, 1dc into each tr to end, ss to first dc. Turn. (25dc). Work 1 more row of 1dc into each dc to end, ss to first dc. Turn. (Use a contrast colour here if you wish) Work 1 row of picot edge (see abbrev) to end, ss to first dc. Fasten off. 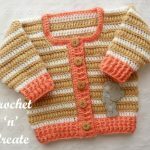 Button/Buttonhole Bands – Starting with WS facing, rejoin yarn at lower edge, working upwards towards neck edge, work 33dc evenly in row ends, up first front edge, 3dc into corner, 1dc into each tr around neck, 3dc into corner, work 33dc evenly into row ends down second front edge. Turn. 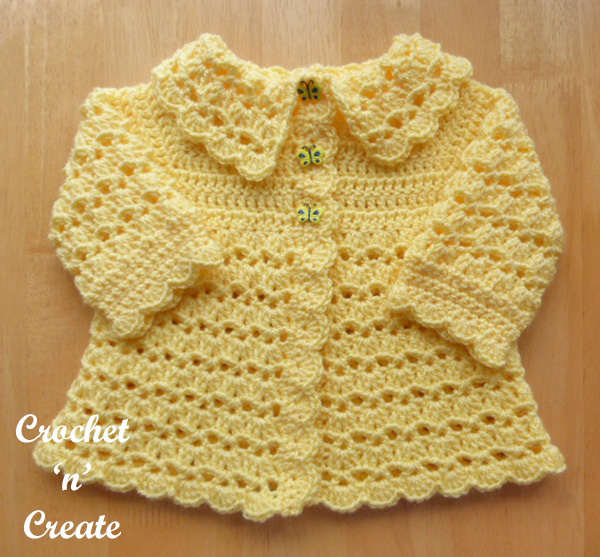 Next Row – (Buttonholes) Work 1dc into each of next 21dc, (to base of yoke) 2ch, miss 1dc, 1dc into next 5dc, (twice), 2ch, miss 1dc, 1dc into last dc. 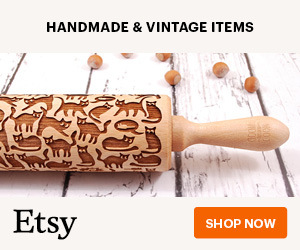 Turn at neck edge. Next Row – Work 1 row of picot edge working into all dc and ch spaces to end. (use a contrast colour for this row if preferred). Fasten off. Return to the opposite side of front edge and working from the neck downwards, work 1 more row in dc. Turn. (Use a contrast colour here if you wish) Work 1 row of picot edge. Fasten off. Finishing – Close small gaps underarms, sew in and tie off loose threads, turn through to right side. 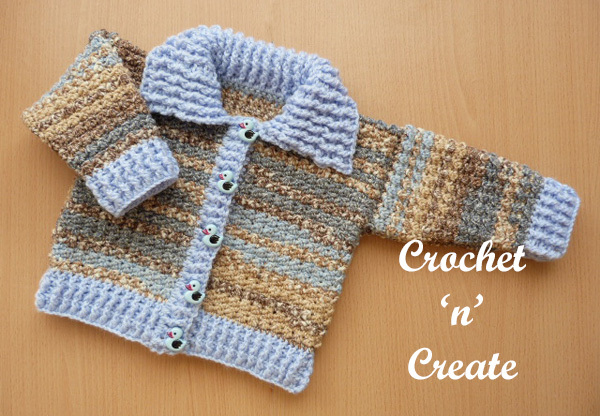 Sew on buttons to correspond with the buttonholes. 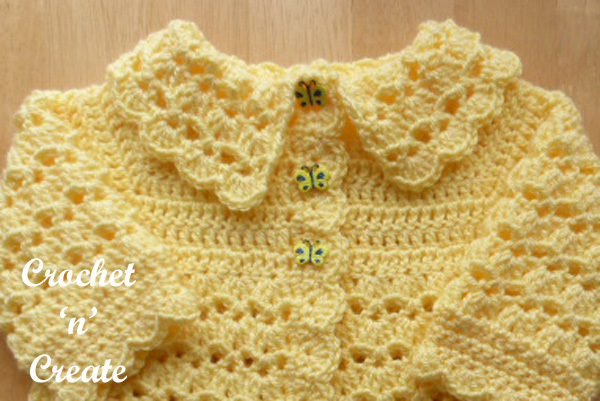 Hope you enjoy this free baby crochet pattern-picot edge cardigan uk. 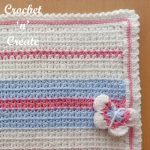 to crochet ‘n’ create © 2018. 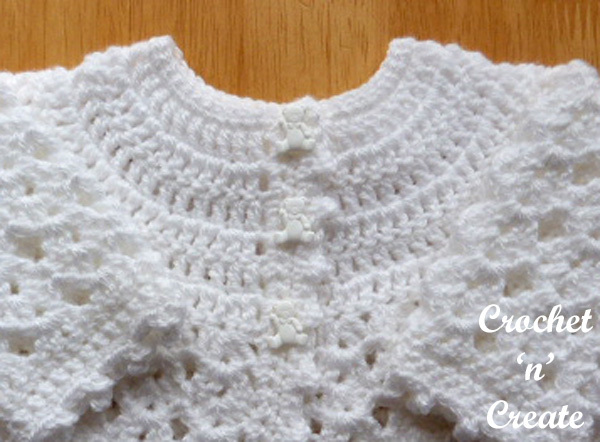 DO NOT share the written instructions for this free baby crochet pattern-picot edge cardigan uk. 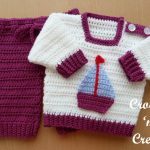 This entry was posted in Baby crochet pattern, crochet baby cardigan and tagged baby crochet, baby crochet cardigan, baby crochet patterns, baby crochet sweater, crochet on 31st October 2018 by crochetncreate. 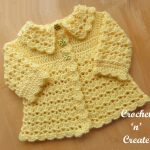 Free Baby Crochet Pattern Collared Coat UK – Adorable crochet coat pattern written in UK format. 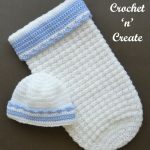 Made in a simple Shell and V stitch design, it is quick to make and will make a lovely gift for the new arrival. 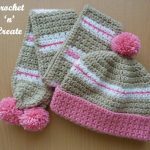 See matching Baby Beanie Hat. 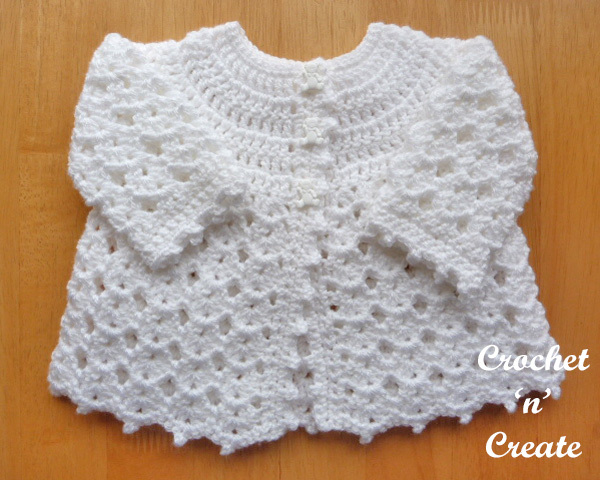 I have more free baby crochet patterns click the links below to view. Insert hook in next stitch draw loop through (twice), yrh draw through all loops. 2nd Row – 3ch, 1 shell into each vst to end, 1tr into top of 3ch. Turn. Next Row – 1ch, 1dc into base of 1ch, 5tr into vst, 1dc between vst, * 5tr into next vst, 1dc between vst, * rpt from * to * to last vst, 5tr into vst, 1dc in top of 3ch. Fasten off. beginning of row. Turn. (9 shell groups). 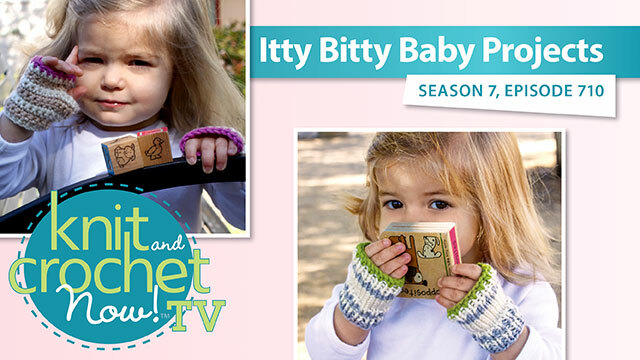 ss at the end of each row, rpt 1st and 2nd Pattern Rows 4 more times each or until sleeve seam measures 4”. Turn. Next row – (Dec row) 1ch, 1dc into base of ch, * dec 1dc over next 2dc, 1dc into each of the next 2dc, * rpt from * to * to last 3dc, dec 1dc over next 2dc, 1dc into last dc, ss to first dc. Turn. (27dc). Work 3 more rows in dc. Turn. 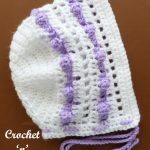 Button/Buttonhole Bands – Starting at lower edge, with RS facing and 4.00mm hook, work 45dc evenly up front edge to corner, 3dc into corner, work 1dc into each ch around neck, 3dc into corner, 45dc evenly down second front edge. Turn. Left Front – 1ch, 1dc into base of 1ch, work 1dc into each dc to neck edge, turn at neck edge. Buttonholes – With 4.00mm hook, return to right front, starting at neck edge and working downwards, work 1ch, 1dc into base of ch, * 2ch, miss 1dc, 1dc into next 6dc, * rpt from * to * once more, 2ch, miss 1dc, 1dc into each dc, to end. Turn. Working into dc and 1ch spaces, work the 5tr group row of left front edge to match. Fasten off. Next Row – Work 1ch, 1dc into base of 1ch, * 5tr into next vst, 1dc between vst, * rpt from * to * to end, working dc into top of 3ch. Fasten off. 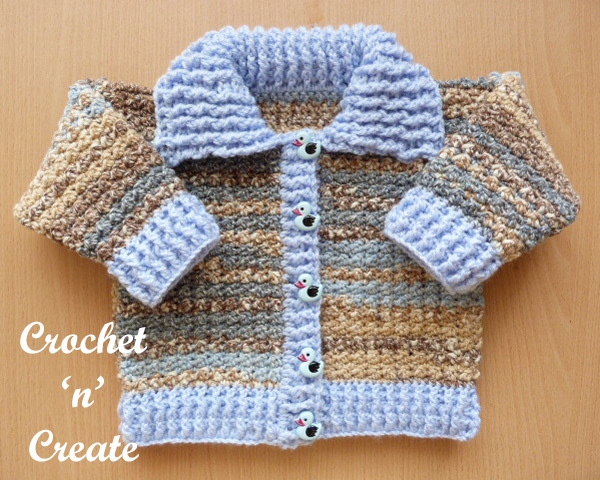 Finishing – Sew in and tie off any loose ends of yarn, sew on buttons to correspond with buttonholes, turn down collar. 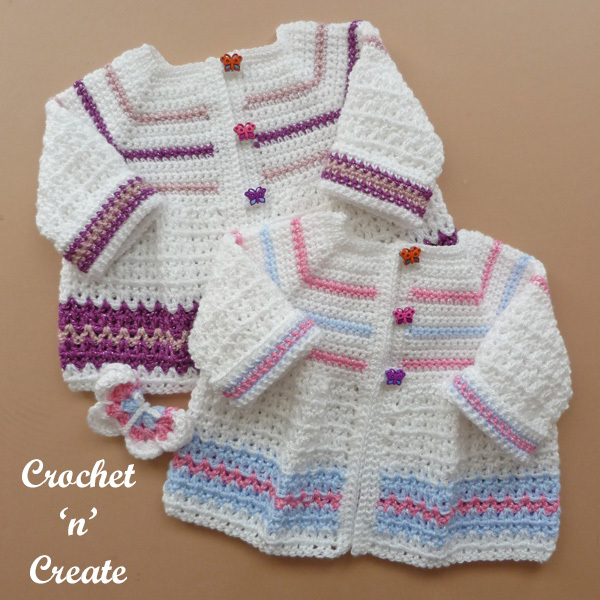 The written instructions and the pictures for this free baby crochet pattern collared coat UK are copyrighted to crochet ‘n’ create © 2018. 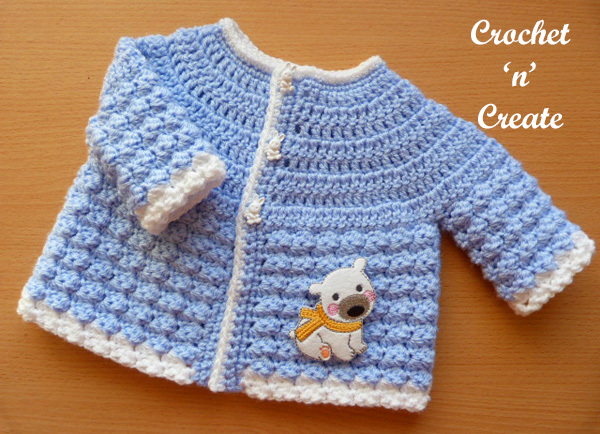 You are welcome to sell the finished products made from the free baby crochet pattern collared coat UK, I just ask that you please use your own pictures and put a link back to crochet ‘n’ create. 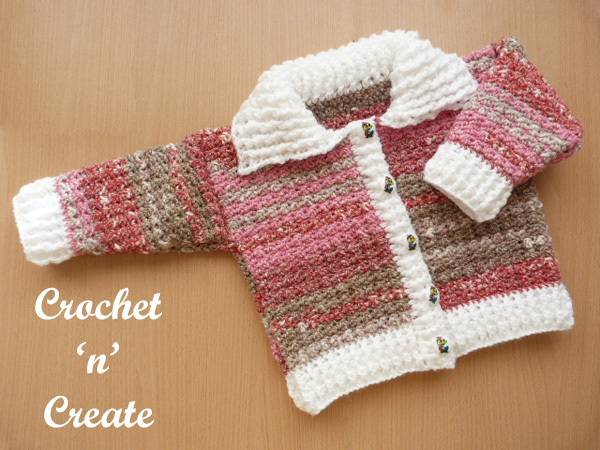 Please DO NOT share any of the written instructions for this free baby crochet pattern collared coat UK. 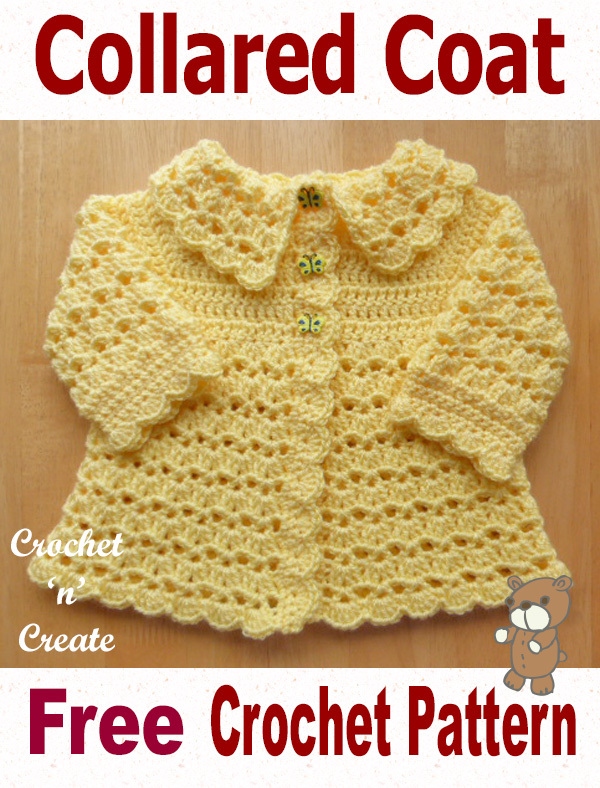 Free Baby Crochet Pattern-Tommys Jacket – A cool and cute newborn baby jacket, this pattern is an addition to my baby Tommy’s range. 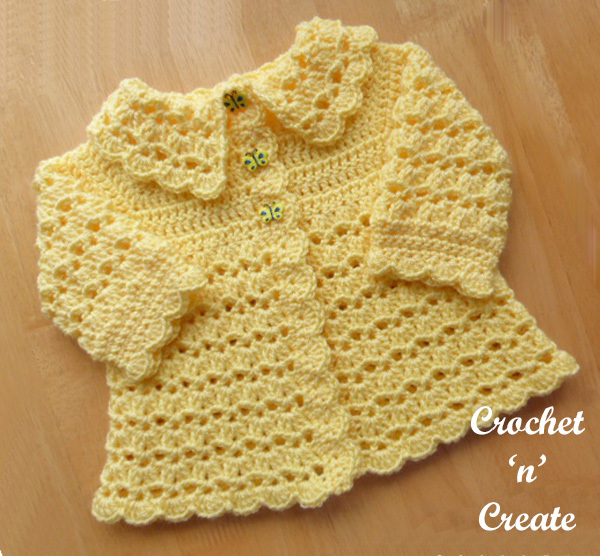 Made in DK (light worsted weight) yarn, using a 4.00mm hook. 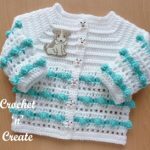 This entry was posted in Baby crochet pattern, crochet baby cardigan and tagged baby boy, baby crochet cardigan, baby crochet patterns, crochet on 29th September 2018 by crochetncreate.